Technological advances over the last two decades have placed genetic research at the forefront of sport and exercise science. It provides potential answers to some of contemporary sport and exercise’s defining issues and throws up some of the area’s most challenging ethical questions, but to date, it has rested on a fragmented and disparate literature base. 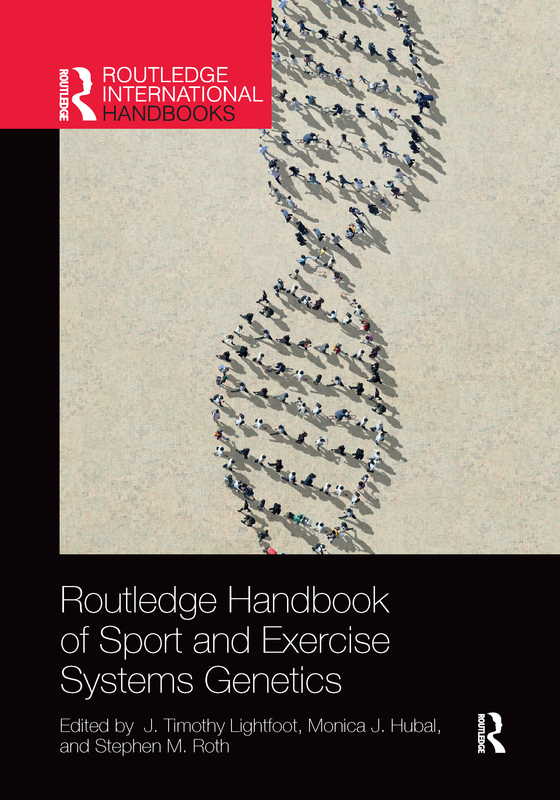 The Routledge Handbook of Sport and Exercise Systems Genetics constitutes the most authoritative and comprehensive reference in this critical area of study, consolidating knowledge and providing a framework for interpreting future research findings. Taking an approach which covers single gene variations, through genomics, epigenetics, and proteomics, to environmental and dietary influences on genetic mechanisms, the book is divided into seven sections. It examines state-of-the-art genetic methods, applies its approach to physical activity, exercise endurance, muscle strength, and sports performance, and discusses the ethical considerations associated with genetic research in sport and exercise. Made up of contributions from some of the world’s leading sport and exercise scientists and including chapters on important topical issues such as gene doping, gender testing, predicting sport performance and injury risk, and using genetic information to inform physical activity and health debates, the handbook is a vital addition to the sport and exercise literature. It is an important reference for any upper-level student, researcher, or practitioner working in the genetics of sport and exercise or exercise physiology, and crucial reading for any social scientist interested in the ethics of sport. Why Study the Systems Genetics of Sport and Exercise? Exercise genomics, epigenomics, and transcriptomics: a reality check!